The club fee paid for each RSC player does not fully cover the actual per player cost. Randolph Soccer Club leadership works hard to keep as much club fee stability as possible from year to year, while maintaining the quality of the program. So fundraising activities and RSC's Sponsorship program are essential to make up that funding gap. For a long time, the club's primary fundraising activity each year involved tournaments. Originally, there were Labor Day and Memorial Day tournaments held here in Randolph. Eventually, asking families to give up two holiday weekends became too much; and the Memorial Day tournament became the club's primary fundraiser. In the fall of 2016, after a great deal of discussion examining options, club leadership made the difficult decision to discontinue the Memorial Day tournament. For RSC, that type of event is no longer an effective type of fundraiser given the amount of work required to make it happen. Moving forward, the club will be using different types of fundraising events, such as raffles, a club-wide social type of event, and other smaller activities over the course of the year. Details on specific events will be posted as they are set. As was the case in the days of the tournaments, parent volunteers will continue to be a necessity for success. In addition to fundraising events, RSC's Sponsorship Program is the other component of the club's fundraising efforts. 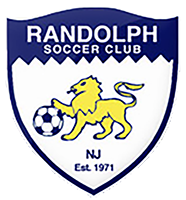 Click HERE to see details for Randolph Soccer Club's 2018 Sponsorship Program. There are different sponsorship levels available. Contact Jared Vichengrad at RSCSponsorship@gmail.com with any questions about RSC's fundraising and sponsorship activities.